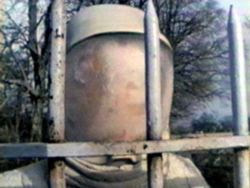 Right of centre politics and issues also evolve from the notions of Empire and colonialism that permeate the season and these are expressed particularly in Silurians and Ambassadors Of Death where independence from the Commonwealth and the influx of immigrants are contemporary concerns that are seeded into the storylines. What are the Silurians if they are not a state/race seeking independence and their own country back from human rule and what are the Ambassadors to General Carrington if they are not silver suited immigrants, who all look the same, arriving to take over a country on its knees economically? Ambassadors is, at its heart, about trust. It clearly signifies the escalating mistrust that industrialised societies now had in their respective governments and the military/industrial complex at the end of the 1960s. Carrington drags politicians, scientists and mercenaries into his conspiracy to exploit the alien ambassadors, with various consequences and outcomes for all the parties. The xenophobia of governments is a central theme that ties in with Wilson's 1966-70 term that witnessed growing public concern over the level of immigration to the UK. This tension was clearly dramatised by the famous "Rivers of Blood’’ speech by the Conservative politician Enoch Powell, warning against the dangers of immigration. Wilson also stated that for 8 months of his premiership he didn't "feel he knew what was going on, fully, in security" and alleged the existence of two plots, in the late 1960s and mid 1970s respectively, to replace him with Mountbatten, as interim Prime Minister, and that ex-military leaders had been building up private armies in anticipation of "wholesale domestic liquidation". Carrington, a figurehead for these concerns, is, ironically, also made very human by John Abineri’s skilful playing and is portrayed as a man who believes he’s doing the right thing. His specific convictions are the result of a through line developed in a number of other characters in the Season from misguided scientists such as Dr, Quinn, to paranoid civil servants like Lawrence, Carrington wannabe Major Baker and the invading Nestenes and the ex-colonial Silurians. One also feels that if Carrington did have the winning hand that eventually the fascist Britain that runs parallel to the one established in Inferno would be the eventual outcome. He’s surrounded by a number of very ambiguous figures, scientists Lennox and Taltalian (whose motivations aren’t clear at all), collaborates with the mercenary Reegan, who certainly is one of nastiest characters in the season and wonderfully played by William Dysart, and is convincing enough to coerce a Knight Of The Realm into his plot. His "moral duty" to start a war because it is the right thing to do is a repeated echo of history that is still relevant today. 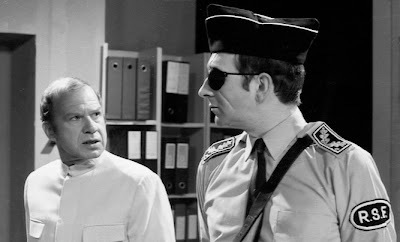 The final scene in which the Doctor confronts Carrington and then allows him to surrender with dignity demonstrates that the Doctor sympathetically recognises Carrington as simply a rational human being whose irrational hatred has sent him down a moral dead end. The last story of the season, Inferno not only cycles back through many of the same themes but importantly it brings the Doctor’s initial, and often complex, journey to a conclusion. Over 25 episodes we see a Doctor maturing and gaining an understanding of his own situation and how that relates directly to his collaboration with U.N.I.T and to humanity as a whole. In Inferno, his experiences in the parallel version of the project are a significant moment of enlightenment in his appreciation of this exile with humankind. The moment when he realises that the future can be shaped and changed is not only a pivotal realisation of the plot but is also an understanding of the indomitable nature, the ‘free will’, of the individuals he’s working with. This is a benchmark in a trajectory that has seen the Doctor develop from an angry, often petulant and conniving, anti-establishment figure, continually kicking against government bureaucrats and scientists, as well as the Brigadier, and become more accepting of his situation, very much deciding ‘if you can’t beat them, join them’ in gaining some comfort with his exile on Earth. By the conclusion of Inferno you see a Doctor more at peace with himself and this ushers in the patriarchal figure of the following season, one which would exploit the slow path of the political system by, for example, becoming a member of privileged gentleman’s clubs to better understand his place in an adopted society.